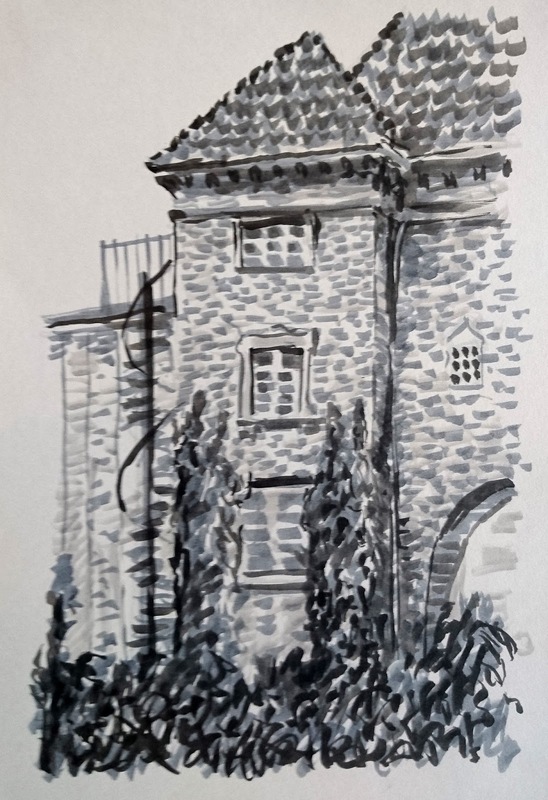 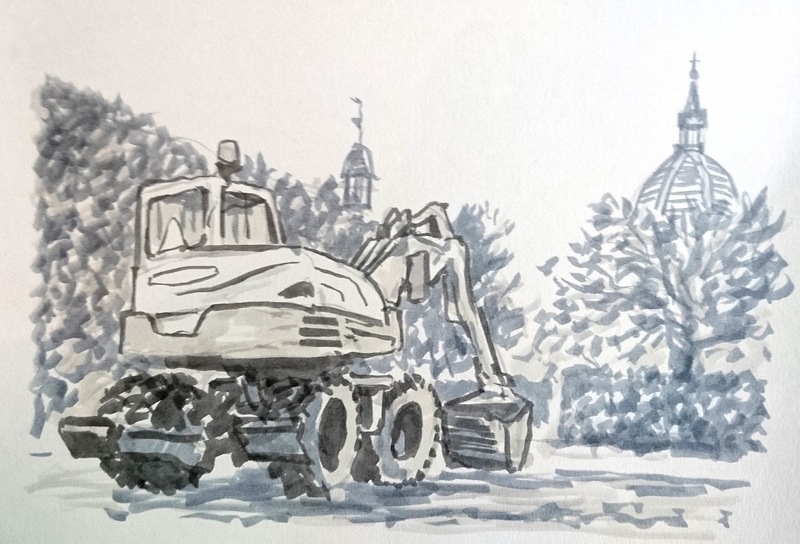 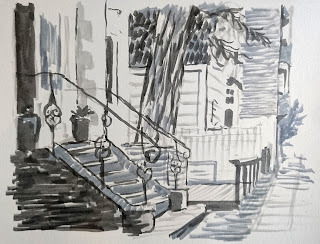 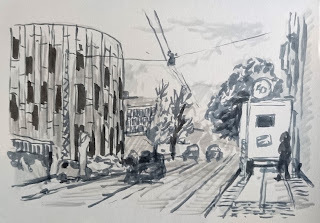 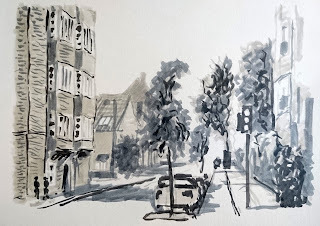 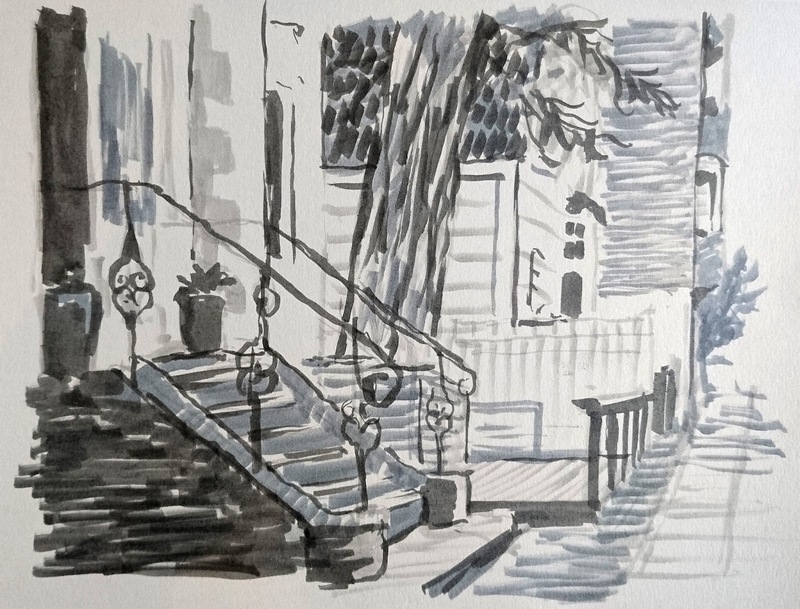 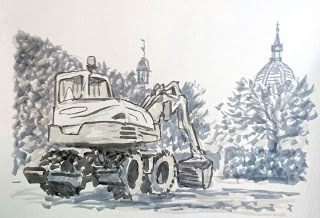 On sunday the 5. of june Urban Sketchers Copenhagen sketched around the area of Frederiksberg in Copenhagen. 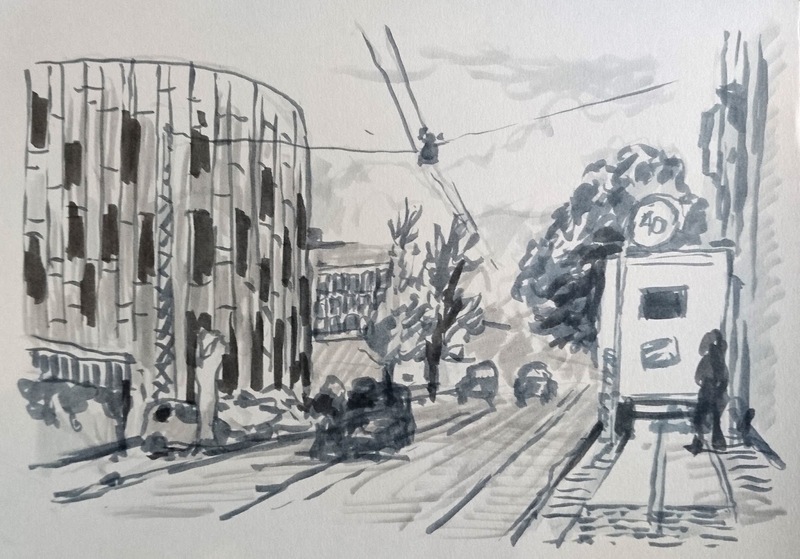 The area is recognized for its broad streets and fancy buildings and old fashioned apartments. 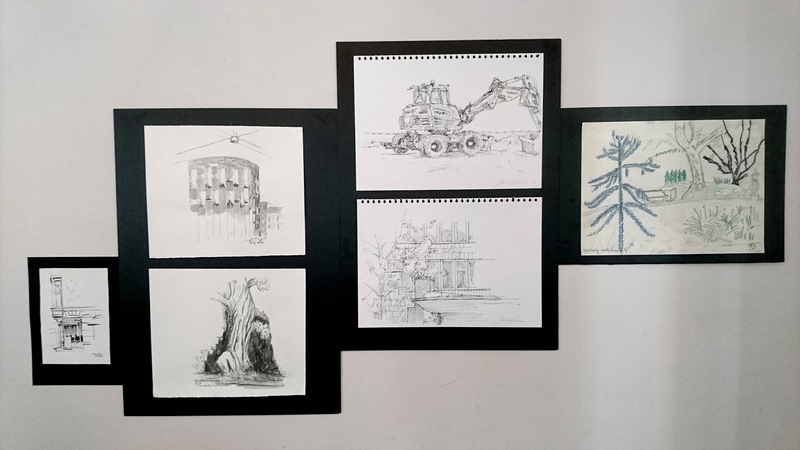 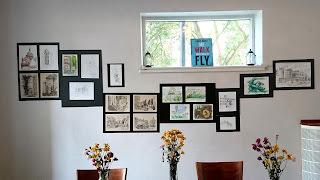 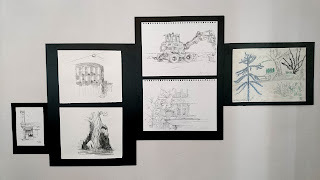 After an afternoon of sketching we made a nice exhibition at the cafe. 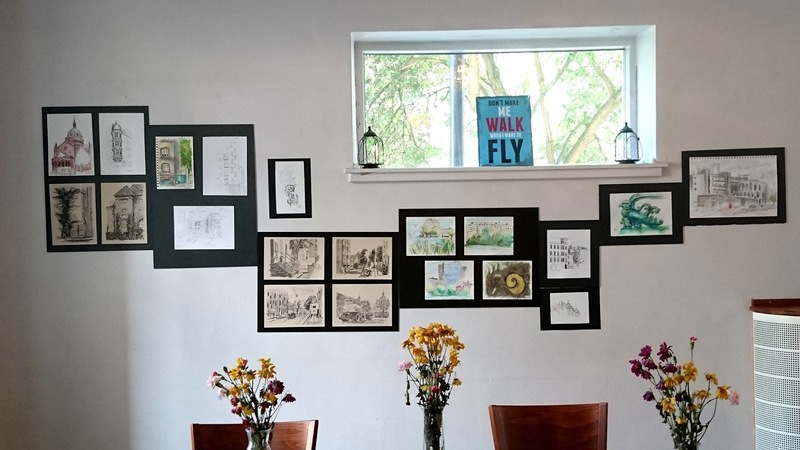 You can see all our drawings here: The exhibition is free and open to see in the cafes opening hours over the summer until sometime in July (2017). 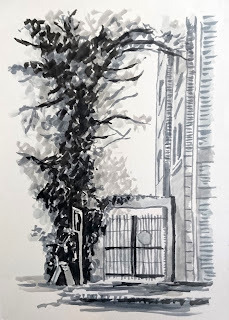 'The adress is Cafe Cadeau, H C Ørstedsvej 28, Frederiksberg.